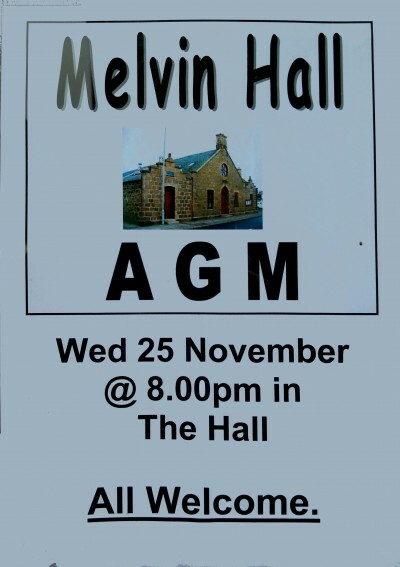 The Melvin Hall is a trust and the hall belongs to the whole community. This is the annual meeting to report on the state of the hall and elect a committee to run it. All people living or working in Tarves are welcome. Its your hall.